But, a local group led by David Esrati said Montgomery County tax dollars are being used elsewhere. In response to Issue 4, Esrati started an political action committee called “Reconstructing Dayton” and a website called Keep Sinclair Fair. The website encourages residents to vote against the renewal this fall.“I’m sure they’re spending Montgomery County tax dollars in other counties. You can’t have a branch campus in Warren County and have all the support … all the things that go along with it,” Esrati said. “That is not covered for $47 extra a credit hour. ”It’s not fair, said Esrati, that Sinclair has locations in neighboring counties but that residents of those counties are not taxed. He pointed to Sinclair’s interest in buying Far Hills Church on Clyo Road as evidence because it sits immediately next to Wilmington Pike, which serves as the Greene County line. Sinclair may convert the 100,000 square-foot church and the 40 acres it sits on into a new learning center for $6 million to $10 million. Esrati called for all counties Sinclair has facilities in to be taxed since Montgomery County residents already pay for Sinclair. Sinclair has locations in Preble County, Greene County, Warren County and a Huber Heights location that serves people from Miami, Montgomery and Greene counties. Levies are not needed in other counties because Sinclair’s operations are substantially smaller than in Montgomery County, Johnson said. Although Sinclair has the authority to put a tax levy on the ballot in Warren County, Johnson said county leaders do not think one is needed right now. The reality is, Sinclair is providing programs all over the region. Dayton School Board member John McManus is teaching high school government classes in Clark County, and then of course, there are branch campuses. Yet, Steven Johnson is still thinking other counties might “volunteer” to add a tax levy to support Sinclair Services. Almost every public institution is worried about cuts in eligibility for Federal tuition grants and student loans, with new rules suggesting low graduation rates, low placement rates, will be grounds for cutting funding. Community College is supposed to be a good value, and a great stepping stone to a 4 year degree. However according to this study- Sinclair is mediocre at best. Walletehub has released its list of the best and worst community colleges for 2017 and Ohio’s did not fare well. None of Ohio’s 23 community colleges made Wallethub’s top 200 and all of the schools of southwest Ohio fell in the lower half of the rankings, according to the report. Wallethub ranked 728 community colleges. Clark State Community College came in at 567, while Edison State Community College was ranked 622 and Sinclair Community College ranked 641. Cincinnati State Technical and Community College ranked 544 and Columbus State Community College came in at 669. The rankings were decided based equally on three factors including a cost and financing category which considered tuition price and some states that offer free community college. The other two main factors were educational outcomes which included retention and graduation rates and career outcomes which considered loan default rates and salaries of grads, according to Wallethub. If it wasn’t for Columbus State Community College, Sinclair would rank worst in the state. And for this ranking- they increased our taxes 2 years ago with a second smaller levy- and now, claim we need to renew their larger levy to keep growing- inside and outside Montgomery County. Note, Norris left the fall, after years of not hitting goals and setting up a very expensive training space at Austin Landing. It’s time to expect more and pay less for Sinclair Community College until they score much higher on the value delivered scale. Notice, all those high paid executives- and not a single actual professor makes the top 5. It’s time to improve teaching performance and cut the pay of the presidents. 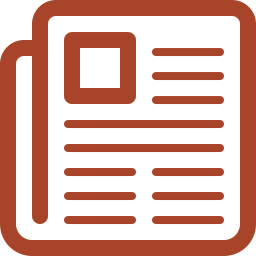 Today, the Dayton Daily news published our short letter to the editor. Right next to a longer anti-pot piece by Bob and Hope Taft. Originally, they’d said they’d let us have 650 words- which we carefully crafted. Their reasoning for not publishing the original and the full letter, follow today’s letter. Note, they had no problem using much of our research in their really long article last Sunday. Since 1966, Montgomery County taxpayers have never said no to a Sinclair Community College tax levy for our county, the one with the second-highest tax burden in the state. About a dozen years ago, Sinclair built a campus in Warren County. The school claims zero Montgomery County funds are spent outside Montgomery County and the costs of the services that they now provide in Warren, Preble and Greene County are funded entirely with the $50 extra per credit hour they charge students from those counties. If that’s truly the case, instead of taxing Montgomery County residents with a second levy why not raise tuition $50 per credit hour, and we don’t pay any Sinclair tax? Sinclair has zero debt and refuses to float bonds to finance capital improvements. This is unlike every other state school. 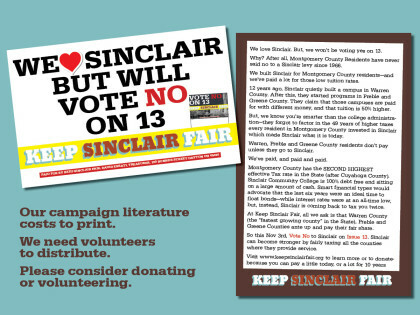 If you really want to “Make Sinclair Strong” — we the people of “Keep Sinclair Fair” www.keepsinclairfair.org suggest that you vote no on Issue 13, and for any other Sinclair levy, until they tax the residents of Warren, Greene and Preble counties as well. Montgomery County has never said no to Sinclair Community College since they started taxing us in 1966. Publicly opposing Sinclair is akin to blasphemy. Yet, it’s time to vote no, and make Sinclair stronger, despite what their expensive levy campaign says. For the last 12 years, Sinclair has been working outside of Montgomery County; they built a real campus in Warren County, a hybrid campus in Preble and are teaching courses in Greene County- all counties that pay no taxes to support them. It’s time to Keep Sinclair Fair and demand that those counties contribute for the Sinclair that we built. Sinclair’s administration, that has grown by leaps and bounds since Dr. Steven Johnson took over from the legacy of the revered Dr. David Ponitz, has repeated over and over that “No Montgomery County funds” have been spent in the neighboring untaxed counties. And for some reason, that patently untrue statement has been accepted by us, the residents of Montgomery County; who are struggling with the second highest tax burden in the State (after Cuyahoga). We have seen businesses leave Montgomery county for lower tax rates in Greene and Warren County (the “fastest growing” county in the State) for the last 20 years. We have seen our local governments grant huge tax abatements to large companies as part of “economic development” – instead of realizing, that high tax burdens are contributing factors in foreclosures, business failures, and outward migration. When the “leaders” of our community say we’re building a future on “Meds, Eds and Feds”- they don’t mention that these organizations don’t contribute property taxes, forcing the rest of us to subsidize their infrastructure. If the true costs of the expansion to other counties is really covered by the $50 more a credit hour that those students pay, by the same logic, we could eliminate the existing levy and just boost tuition by $50 a credit hour (still a great deal) and pay no property tax at all. All of us have benefited from Sinclair, even if we’ve never attended. The dental hygienist who cleans your teeth is a probable graduate, and many nurses and home health aides have come through Sinclair. My own business has hired Sinclair grads in the past, but will no longer. A private school, SAA in Kettering, prepares students much better, in the same time. They receive no subsidy from all of us, but produce much more qualified graduates. According to many friends who work, or have worked at Sinclair, that since Dr. Johnson took over the school is relying more on part-time, low paid temporary professors. The school has also moved from a mantra “find the need and endeavor to meet it” to “invent the need and endeavor to hype it”- if you need proof, they’ve sunk $9 million dollars to train drone operators, and $0 to train truck drivers. Look in the Sunday classified section to see which field has more job openings? It should concern us all that increasing numbers of high school students are receiving Sinclair credits. This might be part of the reason that a Bachelors degree is now looked at as the equivalent of the high school diploma 50 years ago. Besides devaluing both the High School diploma and the Sinclair degree, it’s time that Ohio’s unconstitutional system of funding public education needs fixed first. Another Ponitz legacy was not borrowing for capital investment. It made sense in his tenure of high interest rates, but for Sinclair not to float bonds for capital projects while interest rates are at an all time low is stupid. Sinclair is the only public education institution that is debt free- thanks to your high taxes. It’s time to keep Sinclair fair, and strong. Ask all the served counties to share in the investment via property tax, before voting yes to another Sinclair levy. Can you tell what’s unsubstantiated? We sort of knew our points wouldn’t make it into the Sinclair Daily News. They’ve run at least a half a dozen pro-Sinclair articles on the front page in the last few weeks. Today, they managed to point out that only 6 of 23 community colleges get any tax levy- never mind 2 levies. However, they still refuse to acknowledge that Sinclair isn’t honest when they say no Montgomery County money is spent outside Montgomery County. At least KeepSinclairFair.org got a mention- but, because we’ve raised less than $1,000 and aren’t spending it on Cox’s TV stations, radio, or newspaper- we’re not worthy of coverage. But in Ohio, it’s not all that unusual. According to the Ohio Department of Higher Education, six of the 23 community colleges in the state augment their tuition revenue with property tax levies. Sinclair is one of them, and it is asking voters on Nov. 3 to support a 1-mill levy that the school says will allow it to ramp up its health and manufacturing programs. It is the only countywide levy in Montgomery County, and would cost the owner of a $100,000 home about $35 a year. That’s in addition to the $98 those homeowners already pay for Sinclair’s 3.2-mill levy, which passed in 2008. Sinclair President Steven Johnson said the new money would be used to build a health center, which would house its nearly 40 health science programs and be equipped with the “latest” simulation labs and clinics. The center would be built on a parking lot between 4th and 5th streets, and attached to the Sifferlin Center. “In order to have enough trained health care workers, and people to work in manufacturing, we need to increase capacity and we need to do it faster,” Johnson said. The levy, which would raise about $8.5 million, would also help the school prepare students to address the “skills gap” that employers point to as a barrier to growing jobs in the region, said Johnson.“Sinclair has tremendous momentum going in workforce and job training programs like UAS, health science careers, advanced manufacturing, IT and first responders,” he said. Maybe this is why Sinclair has received over $130,000 for their campaign from our duopoly health care system- who don’t have to pay property taxes. But to people like Meyers, another levy request is too much to ask, particularly for those on fixed incomes.“And next year there isn’t a Social Security increase,” he said. Supporters know any levy is a tough sell in a county that already has its share of levies. Montgomery County property owners, because of those levies, have the second highest property tax burden in Ohio. Finally- our point makes it into the discussion. Remember, Warren County is the “fastest growing county” in the state- and now has a Sinclair campus- without a tax burden. We’ve all paid for 49 years- and Warren County residents only have to pay for Sinclair if they go to Sinclair- novel idea. With just nine days until Election Day, Citizens for Sinclair — the group pushing Issue 13 — is out in full force, from taking to the airwaves to handing out yard signs and announcing endorsements. Johnson remains confident, but he says the outcome will depend on turnout. To ensure they get that turnout, Citizens for Sinclair has spent slightly more than $450,000 during the most recent reporting period, and has about $263,000 on hand. More ads are planned for the campaign’s final days. Johnson said a big selling point for the school is its value to local students. No mention of Sinclair’s 11% graduation rate. Value? Really? Some voters have questioned why Sinclair isn’t asking voters in Warren County — where the school opened a campus in 2007 — to pony up. But, said Johnson, “By law, we keep it here. And it’s spent on our (Montgomery County) students. ”Sinclair officials point out that Montgomery County students pay $99 per credit hour, while students from other Ohio counties pay an additional $50 per credit hour.Currently, Sinclair pulls in slightly more than $27 million each year from property taxes. No, this is a flat out lie. Montgomery County Students pay $99 per credit hour, plus, all of us pay based on our property value, pay for their tuition. In Warren County- only the students who go pay. Sinclair officials say the community college doesn’t have debt and its financial outlook is solid. “We’ve only bought and paid for things we could afford,” Johnson said. No, they could only buy and pay for things we pay for. And any alternative funding sources, such as issuing bonds, which is how every other state school finances capital improvements, is ignored. Which, considering the record low interest rates, borders on criminal negligence on the part of Sinclair in showing shrewd financial decisions in our best interest. However, the school says it has faced its share of financial hurdles, including lower-than-expected levy funds as a result of falling property values. In 2016, the college is expected to receive $700,000 less from property taxes than it did in the most recent fiscal year. That’s one reason the college’s revenue is projected to fall by $3 million to $124.2 million from fiscal year 2015 to 2016. Meanwhile, its 2016 expenses are expected to drop by $4.2 million, to $121.4 million. No analysis has been provided of the growth of highly paid administrators and cuts to tenured faculty positions under Johnson. There has also been a declining enrollment in recent years, which isn’t being reported. Is it because the focus on pie-in-the-sky programs like model airplane pilots instead of truck driving programs like those offered by other community colleges- where there are real, open jobs waiting? Aside from levy funding, the college will rely mostly on state appropriations and tuition to cover 2016 expenses. Those revenue sources also have dipped.The new levy would run for eight years. In 2017 or 2018, the college will move to renew its 2008 levy, and after that— if the new levy passes— the college would have a levy on the ballot every five years. Sinclair says having two levies could keep the institution’s finances secure, in case one were to fail. That’s not an uncommon levy strategy. In fact, the Montgomery County Human Services levies have a similar setup.“One of things that we would like to do is not have all of our eggs in one basket, and have balanced levies and spread the risk,” Johnson said last month. Grant Neeley, associate professor and interim chair of political science at the University of Dayton, says Sinclair and other institutions that have two levies run the risk of confusing voters. “I think levies are confusing for most people anyway,” Neeley said.He added that it’s also possible the increase in levies could cause voter fatigue. Sinclair levy. The gathering included politicians on both sides of the aisle. “We don’t agree on much, but we need to educate our future leaders,” said Sheriff Phil Plummer, the chairman of the Montgomery County Republican Party. The levy doesn’t have much organized opposition, aside from keepsinclairfair.org — a webpage that has raised less than a $1,000. Amazing, we finally get mentioned. The community college has had a great track record with passing levies. The school passed its first levy in 1966, and has passed each renewal since. Johnson says that’s because Sinclair has had a good relationship with the county during its 128-year existence. In addition, Johnson said those levy funds helped the school build technical programs that rival the best community colleges in the country. Local hospitals are among the levy’s biggest backers. Of the $247,220 raised by Citizens for Sinclair from July 1 through October 14, $130,000 came from the Kettering Health Network and Premier Health Partners. “We have more employees of our hospitals, of our 33,000 employees at 28 hospitals, that come from Sinclair than any other educational institution,” said Bryan Bucklew, president and CEO of the Greater Dayton Area Hospital Association. Bucklew says his organization provides Sinclair with a vacancy report, so the community college knows what areas are in highest demand. We won’t waste your money on TV ads, convincing you that while other counties grow like crazy, we keep being asked to tax ourselves into the ground, to support Premier and Kettering Health Networks job training programs. Those that don’t pay, and those that get paid, were the leading donors to Issue 13, which adds a second tax levy to support Sinclair Community College. Leading the way were the two hospital systems who donated over $130,000 to the campaign. These “not-for-profit” institutions, where their C-level executives make seven figure salaries, and yet pay nothing in property taxes- find it fits their budget to subsidize the levy campaign- since they rely on Sinclair to pay for training for their employees. If we removed their tax-exempt status, and asked them to pay property taxes, there would be no need for an additional levy. Removing tax exemptions to any company where the C-level executives make over a million a year would be a good start toward solving income inequality in the United States. Other large donors include kickbacks from the people the campaign spent over $360,000 proving that Sinclair levy’s are good for some businesses, while making the rest of us less competitive with higher taxes Note, Burges & Burges isn’t even a local firm- with Sinclair feeling the need to go to Euclid- a suburb of Cleveland for their campaign. In Montgomery County the largest total contribution went to the Sinclair Community College levy campaign, according to pre-general election campaign finance reports filed Thursday with the Montgomery County Board of Elections.The campaign for the 1-mill, 8-year additional property tax levy raised $247,220, more than half from Dayton’s two largest hospital networks. Combining that with money brought forward from earlier fundraising, Citizens for Sinclair spent $452,532 and has on hand $263,524 going into the final leg of the campaign. The money was spent primarily on advertising buys for television, radio, print and direct mail. “Those employers and individuals who have contributed certainly see this as an investment in the community,” said Madeline Iseli, vice president for advancement for Sinclair and campaign executive on loan from the college. “Sinclair is about helping them have the educated and trained employees that this community needs so that we can continue to grow the jobs for today and tomorrow. ”The new operating and capital improvement levy would pay to boost manufacturing and health programming, including building a new health sciences facility.If approved by voters the new levy would be one of two used by the school for its Montgomery County programs and students. Sinclair’s other levy is for 3.2 mills and officials say the new levy would help offset revenue losses on that levy stemming from declines in property values in the county. The largest contributor to the levy campaign was Premier Health, with $100,000, followed by Kettering Health Network, which contributed $30,000. Iseli said 40 to 50 percent of the college’s health sciences graduates are employed by those hospital systems. “We have just been really strong partners for many many years,” said Peggy Mark, chief learning officer for Premier Health. “We get great graduates from Sinclair. ”Kettering Health Network Chief Executive Officer Fred Manchur said the company is grateful to Sinclair for educating so many of its employees and “education produces a strong local workforce. ”Other large contributors to the campaign included the Montgomery County Human Services Levy and the University of Dayton, both of which gave $10,000 each. Sinclair President Steven Johnson gave $5,000 and the levy attracted $3,000 in financial support from levy campaign consultant Burges & Burges Strategists of Euclid and $5,000 from The Ohlmann Group Inc., the Dayton marketing and advertising firm that does media buys for the levy. The levy committee paid Burges and Burges $33,324 for services during the reporting period. Ohlmann was paid $332,871 for media buys. While the tax levy people always talk about the cost per year of a $100,000 house, the reality is, business properties have much higher values, which means this tax comes straight off your bottom line, unless of course, you are a hospital, a levy campaign, or UD- all of which pay no tax. If we really want to “Keep Sinclair Strong” it’s time to spread the tax equitably across all 4 counties that Sinclair is providing services to, making it a strong regional player. Instead, Sinclair only taxes Montgomery County residents. 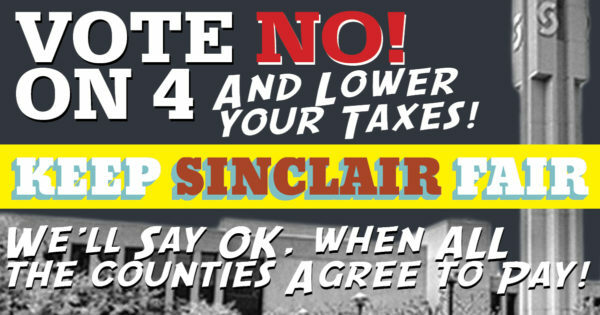 Let’s Keep Sinclair Fair and vote no on any Sinclair levy in Montgomery County until Warren, Preble and Greene county share in the burden. We love Sinclair. But, we won’t be voting yes on 13. Why? After all, Montgomery County Residents have never said no to a Sinclair levy since 1966. We built Sinclair for Montgomery County residents—and we’ve paid a lot for those low tuition rates. 12 years ago, Sinclair quietly built a campus in Warren County. After this, they started programs in Preble and Greene County. They claim that those campuses are paid for with different money, and that tuition is 50% higher. But, we know you’re smarter than the college administration—they forgot to factor in the 49 years of higher taxes every resident in Montgomery County invested in Sinclair which made Sinclair what it is today. Warren, Preble and Greene County residents don’t pay unless they go to Sinclair. We’ve paid, and paid and paid. Montgomery County has the SECOND HIGHEST effective Tax rate in the State (after Cuyahoga County). Sinclair Community College is 100% debt free and sitting on a large amount of cash. Smart financial types would advocate that the last six years were an ideal time to float bonds—while interest rates were at an all-time low, but, instead, Sinclair is coming back to tax you twice. At Keep Sinclair Fair, all we ask is that Warren County (the “fastest growing county” in the State), Preble and Greene Counties ante up and pay their fair share. So this Nov 3rd, Vote No to Sinclair on Issue 13. Sinclair can become stronger by fairly taxing all the counties where they provide service.